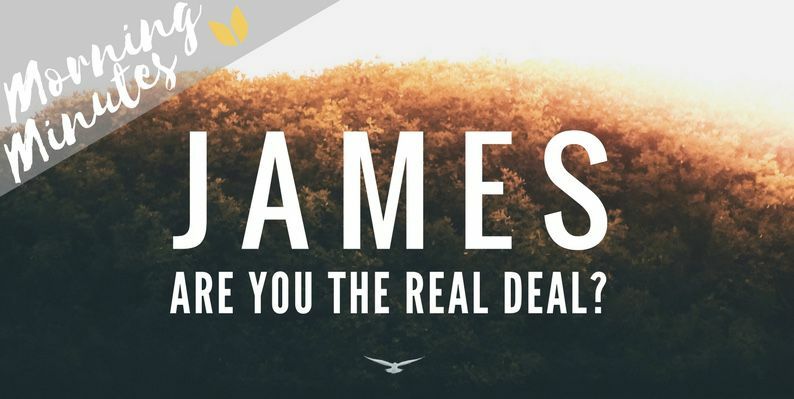 James: Are You The Real Deal? Are you the real deal? In this verse by verse study of the Book of James you will be challenged to live the authentic Christian life. If you’ve ever wondered what it means to be a true follower of Jesus Christ, this study will help you understand and apply it. This study is part of the Morning Minutes series. Click the links below or Download the Living With Power app for accessing this teaching.